Come see what this working performance stable looks like when we're not performing. 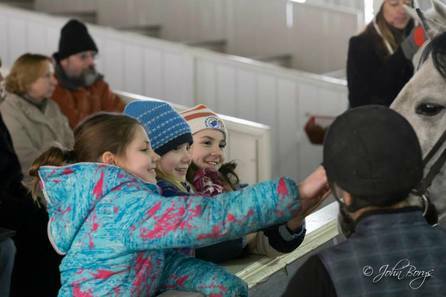 Our training program is year-round and we welcome interested visitors into our historic stables where the traditions of the past are living in the present. Call to schedule a Private Tour on a day that works for you. Private tours are not available on the same day as a performance. Click here to learn more about Private Tours. Tours usually take place on the second Saturday of each month October through May. Exceptions may apply. Doors open at 9:30 am. Tour begins promptly at 10:00 am. Tour takes place out of the elements and on level ground, but we still recommend a heavy coat (in cold weather) and good walking shoes. Visitors get access to the daily routines of our equine athletes that are in active year round training with a tour guide. The tour begins in our stallions stables where individual care of the horse is a high priority. 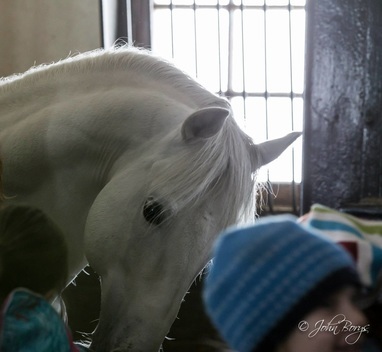 There are opportunities to pet some noses as you learn about the history and care of these rare stallions. Tour content may be guided by the interests/age of the group. 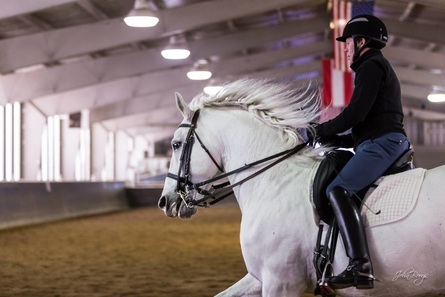 ﻿A good portion of the tour takes place in our indoor arena where guests have an opportunity to watch the horses in their regular training program. Dressage training is often likened to ballet in which the dancers developing musculature is key to the development of advanced skills. The horse trainers welcome questions as they enter and exit the arena. Accessibility: Handicapped accessible, some uneven surfaces to navigate. Monday-Friday and Saturday mornings, non-performance days.